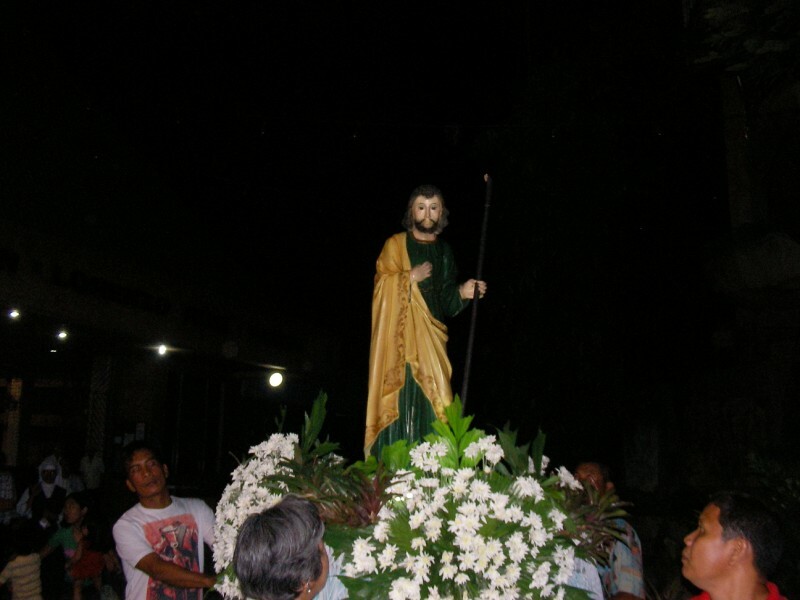 Last March 19, the parish celebrated the feast of St. Joseph with masses in the morning and the evening to give importance to his role as the foster father of Jesus who, while quietly working behind Mary and Jesus, was mostly probably responsible for teaching Jesus his skills as an artisan, a carpenter and builder. It was also on this occasion that Kuya Henry Bayhon, a husband and father, was installed during the mass as the latest addition to the the Extraordinary Ministers of Holy Communion. It was done in simple, quiet yet solemn ceremony, a fitting tribute to St Joseph the worker. Right after the mass, a short procession followed with the image of St. Joseph taken around Tierra Verde 1. The parish Lenten Recollection followed immediately after the procession and agape. In this recollection, Fr. Luke focused on spiritual transformation in the light of the Lord's passion, death and resurrection (PDR). Father likened the PDR to the Exodus in the Old Testament, the journey of the Jews from Egypt to the promised land and its parallel in the New Testament, Christ's PDR. In the same manner, it is the same for all Christians where we have to go through the desert of our existence (our passion), find ourselves in the humble recesses of our hearts (death) and hopefully start to renew our faith in God (resurrection). At the start, everyone was asked to reflect on one's innermost negative feelings that hindered him from moving on and becoming renewed. Each was to choose one among these most negative feelings that one wished to rid himself of and write it on a piece of paper. When all had done this, they individually burned the paper as a symbolic offering to God.